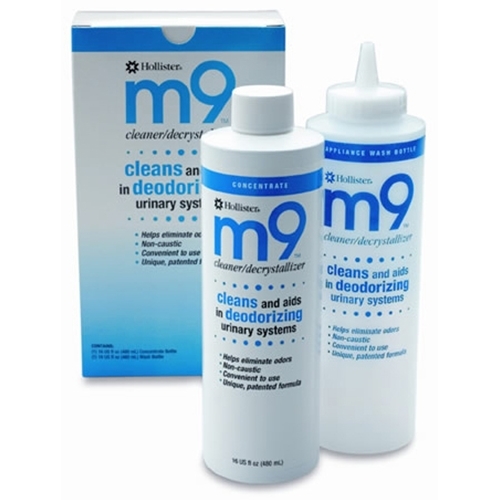 Hollister m9 Cleaner from HealthyKin.com effectively and safely cleans and deodorizes urinary collection systems. It is pH balanced, dissolves urinary crystals and non-acidic, making it specially formulated for use with urinary collection systems. A free wash bottle is included. Works great for keeping urinary reservoir bag suitable for several uses!